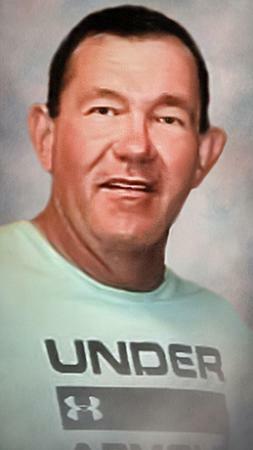 Memorial services are tentatively scheduled for 2 p.m. Monday, Aug. 20, at Hermosa Church of Christ for David Wayne Lewis of Artesia. Services may change to Wednesday at the same time. Please visit www.artesiafunerals.com for any updates. Lewis, 50, passed away Tuesday, Aug. 14, 2018. Michael Joiner will officiate the services. A private family burial will be held at Woodbine Cemetery. Pallbearers will be Brandon Lewis, Roberto Garcia, Robbie Burgess, Daryl Elrod, Jaime Flores, Stuart Johnston and Roy Haynes. David was born Aug. 29, 1967, in Duncan, Okla., and adopted as a baby by James A. and Hazel (Plunkett) Lewis. He was a longtime Artesia resident. David was a plant manager for AKA services and a member of the Hermosa Church of Christ. He was an avid hunter, enjoyed working out and collecting cars, and loved to spend time with his family. Survivors include his wife, Jeanine, of the family home; mother Hazel Lewis of Artesia; daughter Brooke Garcia and husband Roberto of Artesia; son Brandon Lewis and wife Jazmin of Artesia; sisters Jane Partain and husband Rick of Albuquerque, and Katey Vowell of Lubbock, Texas; brothers Jim Lewis and wife Lisa of Bluesprings, Mo., and Robert Lewis and wife Vickie of Artesia; grandchildren Jayden and Winter Garcia, and KJ Lewis, all of Artesia; numerous nieces and nephews; and a host of friends. He was preceded in death by his father and a brother, Albert Lewis.